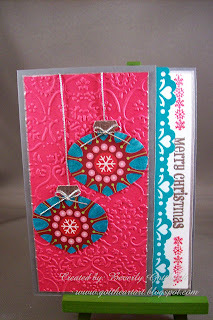 I finally used my Stampin Up ornament punch, so versatile and so fun. These ornaments are punched out of patterned paper. 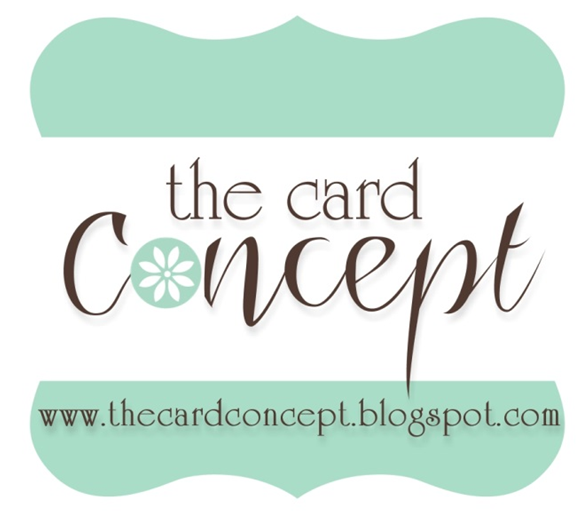 The blue was a light blue, so I used the Stampin Up Bermuda Bay marker to color that area to go with one of the colors in the Diva Coffee Break Designs color challenge. These are truly alternate Christmas colors for me. I'm a died in the wool red, green, and gold Christmas girl. Supplies: Card Blank cut from CTMH grey wool card stock 4" X 5 1/2", Papers: Stampin Up: melon mambo, bermuda grey, whisper white, DCWV-The Christmas Stack, AC Specialty Paper-Christmas Foil, Stamps: See-D's-#50316 Traditional Christmas, CTMH-D1283 Say It In Style, Ink: VersaMark Ink pad, Stampin Up-Melon Mambo, Stampin Up Clear embossing powder, CTMH Silver embossing powder, Cuttlebug Embossing folder-Textile, Stampin Up marker-Bermuda Bay, Sharpie Poster Paint pen-Silver, Stampin Up-Ornament punch, Fiskars-Heart border punch, Silver cord. Very nice card!! Thanks for playing with us!! another cool yet offbeat Christmas card and I love the ornaments! Nice layout and great use of the Diva challenge colors! Thanks for trying so hard- even to the extent of coloring in your patterned paper. Great job! 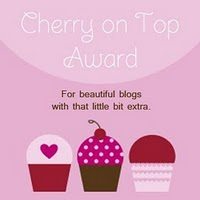 Thanks for joining us at Crafty Cardmakers, our new challenge is up!